Peter Matthew Siddle (born 25 November 1984) is an Australian Test cricketer. He is a specialist right-arm fast bowler who plays for Victoria and Australia. He became the 15th Australian to get 200 wickets in Test cricket, making Doug Bracewell his 200th victim in the first ever day/night Test against New Zealand in Adelaide. 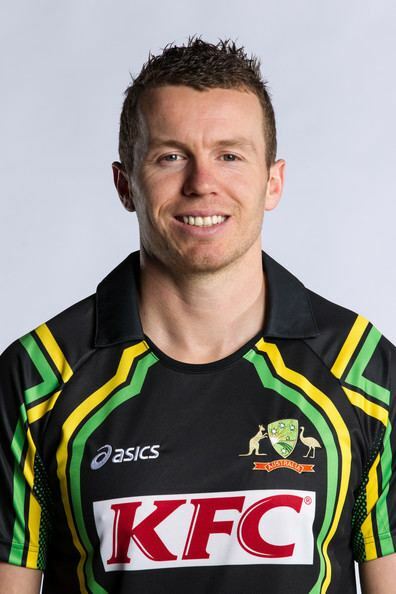 Peter Matthew Siddle was born in Traralgon, Victoria. He grew up in Morwell, Gippsland, and began playing cricket at the age of 14 for the Latrobe Cricket Club. As a teenager, he experienced success at under-17 level taking 11/47 in a state match, breaking the Victorian state record set by John Scholes. In 2003, Siddle attended the Australian Cricket Academy and made his first-class debut playing for Victoria against a touring West Indian side at Melbourne in November 2005. In 2006 he attended the Academy again and was offered a full contract with the Victorian Bushrangers for the 2006–07 season. After that, despite suffering a number of shoulder injuries which limited his playing opportunities, he became a regular in the Victorian side. Siddle signed for English county Essex for the 2012 Friends Life t20. 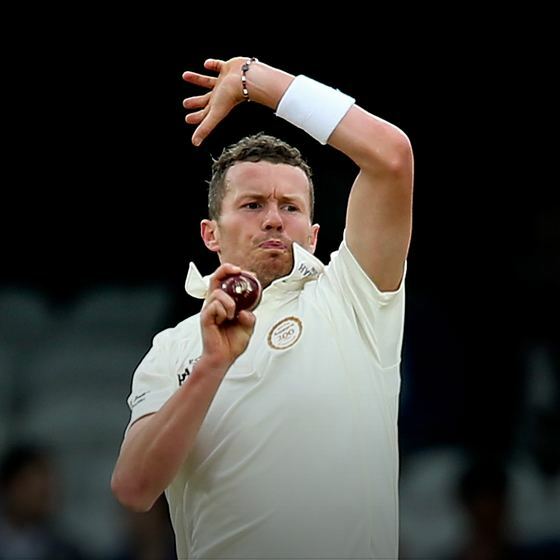 Following an injury he picked up on Australia's tour of the West Indies, Siddle was unable to fulfill his contract with Essex. Outside of cricket, he, like Ricky Ponting, is an avid supporter of Melbourne City Football Club in the A-League, Australian Football, North Melbourne and the Melbourne Storm in the National Rugby League. In 2012, Siddle joined his girlfriend in adopting a Vegan Lifestyle. 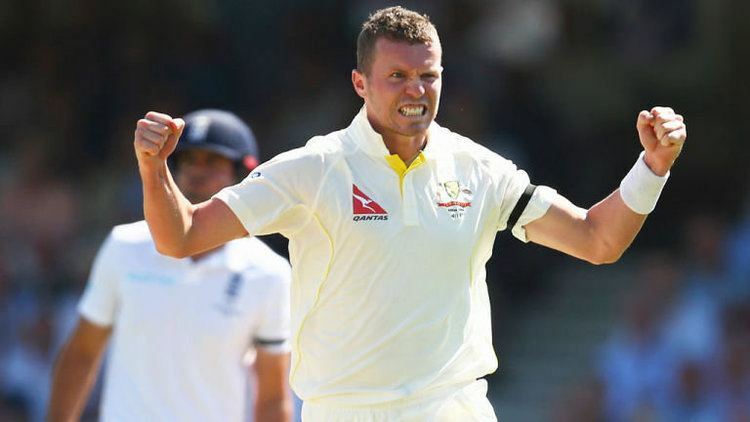 Siddle signed to play for Nottinghamshire in 2014 making himself available for all of the LV County Championship and 50-over matches but not the Twenty20 games. 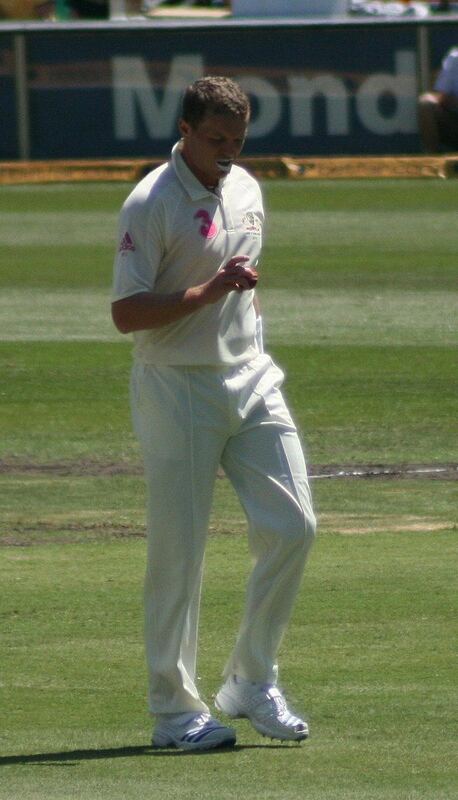 After just twelve first-class matches and touring India with Australia A, Siddle was named in the national 15-man squad for the four-Test tour of India on 12 September 2008, as back up to established bowlers Brett Lee, Stuart Clark and Mitchell Johnson. 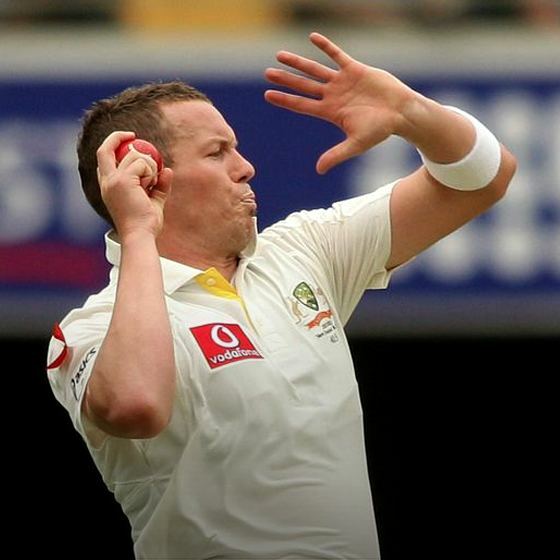 When Clark injured his elbow prior to the Second Test, Siddle was selected in the match squad. He made his Test debut at the Punjab Cricket Association Stadium in Mohali on 16 October 2008. He picked up 3/114 in the first innings, finishing with match figures of four for 176. Siddle lost his position when Clark recovered, only to regain it when the elbow injury recurred prior to the First Test against South Africa at the WACA, 2008. He broke through with three wickets in front of his home crowd at the Melbourne Cricket Ground during the Boxing Day Test against South Africa on his way to figures of four for 81 in the first innings. Siddle backed this performance up in the next Test at the Sydney Cricket Ground, taking five for 59 in South Africa's first innings. His efforts were not enough, however, to prevent Australia from succumbing to a historic home series defeat. Siddle also gave a fine account of himself on the South African leg of the rubber, in which the Australians triumphed 2–1. Going into the 2009 Ashes series, he had notched up 29 Test wickets at an average of 27.65. That it had come in six Tests against the South Africans and one in India, and with an economy rate of only 2.57 an over, made his record still more impressive. In the first Test of the 2009 Ashes Series, Siddle took 2/97 in the first day's play. In the fourth Test of the 2009 Ashes Series, Siddle took 5/21 in the first day as his career best. 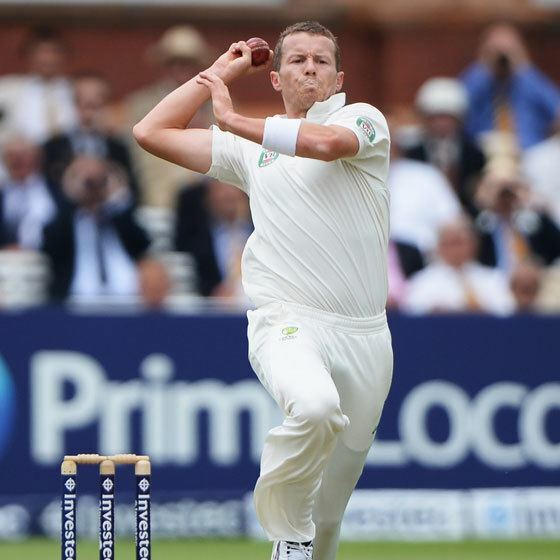 On 25 November 2010, Siddle's 26th birthday, he took a Test hat-trick amongst his six wickets in the first Test of the 2010–11 Ashes series, taking six for just 54 runs, his best ever in test match cricket as he bowled 16 overs in total. On 29 December 2010, Siddle scored 40 in the 2nd innings of the 4th Ashes Test at the MCG, his highest score in first class cricket. 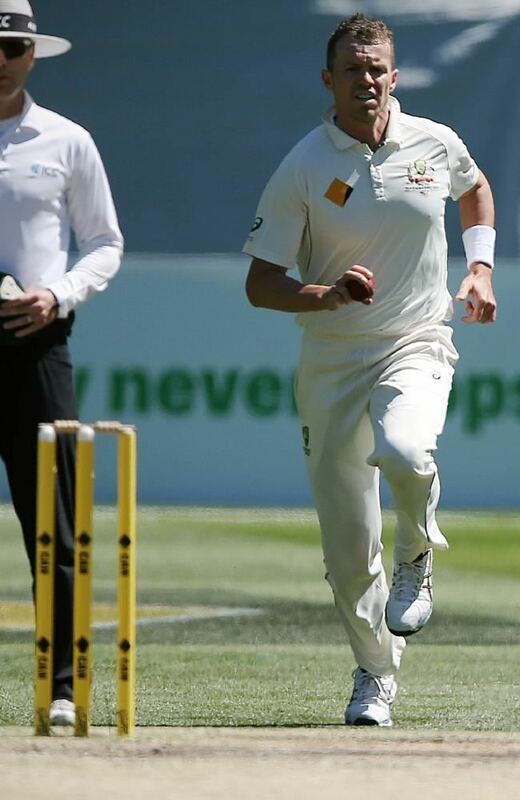 Following the end of the 4th Test, Siddle was ranked 9th in the ICC Test Player Rankings. Siddle took his 100th Test wicket at the SCG on 3 January 2012 in the second Test of Australia's home series against India. During the same series he rose to a career-high seventh in the ICC's Test bowler rankings. He was named the man of the match in the fourth and final Test of the series, having taken 5/49 in the first innings. He took 23 wickets in the series at an average of 18.65. On 24 March 2013, Peter Siddle became the first number 9 batsman to score a half century in both innings of a Test match. On 13 February 2016, Siddle became the 100th Australian player to reach 1,000 Test runs. Siddle and his partner, Anna, house rescue dogs until they are healthy enough for adoption. The first owner of the rescued dogs was Aaron Finch.